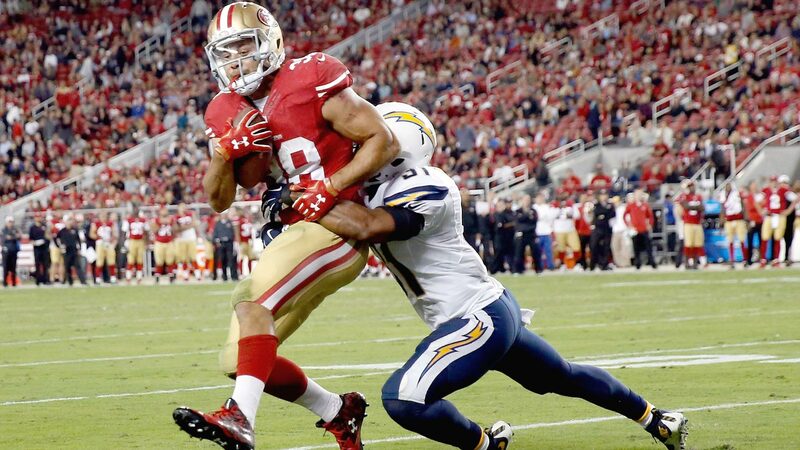 Jarryd Hayne’s monster preseason continued — at the expense of a few poor Chargers defenders. That’s cornerback Lowell Rose getting trucked at the end of that run. Or at least it used to be. But Hayne’s speed is just as impressive on the play. Defensive lineman Ryan Carrethers had an angle on him — until he turned the afterburners on and left Carrethers grasping for air.